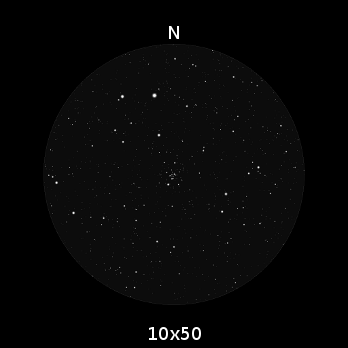 This is a superb cluster for binoculars of any size, showing a dozen or more stars in a 10×50. 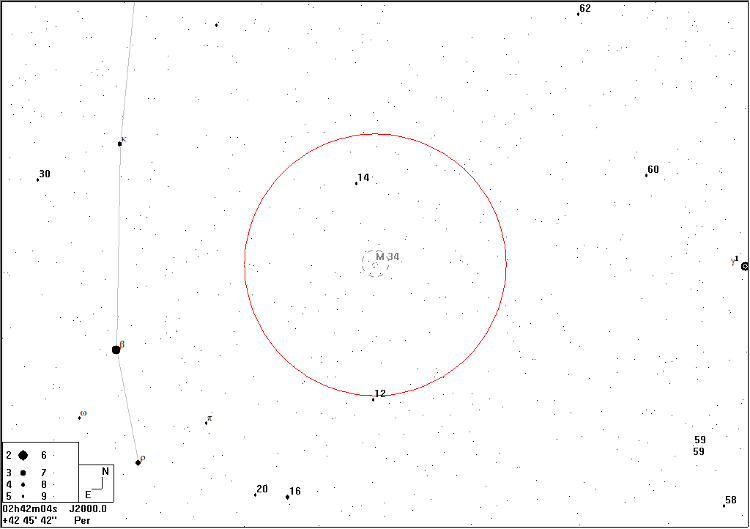 When you observe in this region, you could also ascertain the magnitude of the β Per, one of the more famous variable stars; it is an eclipsing binary star. 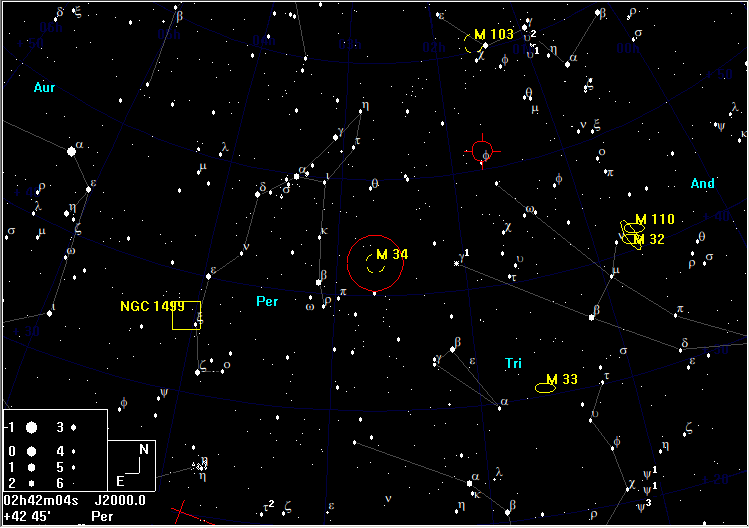 The name Algol comes from the Arabic Ras al Ghul, the Demon's Head. The ghoul or demon in question is Medusa.